Viatorians around the world paused on Oct. 21, the feast of St. Viator, to reflect on their gospel-inspired mission. Their celebrations took many forms. In the Kankakee/Bourbonnais region, associates, brothers and priests gathered at the historic grotto on the grounds of Maternity of the Blessed Virgin Mary Parish for a Marian celebration of the feast day. Seated around the 100-year old grotto, community members recited a prayer composed by Fr. Pascal Lajoie, CSV, superior general, during a pilgrimage to Lourdes in 1892. Members of the Chicago Province gathered for an evening prayer in the chapel at the province center in Arlington Heights. 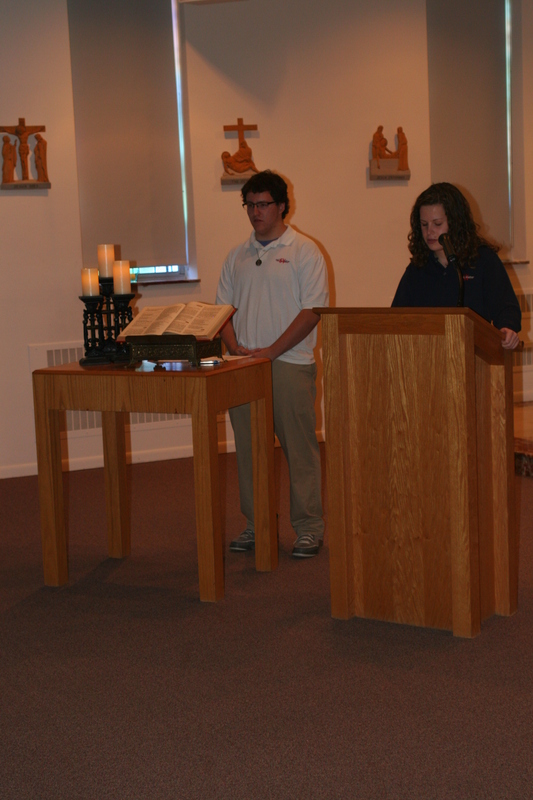 At Saint Viator High School, teens who had attended the Viatorian Youth Congress led their classmates in prayer services during individual religion classes.